AMD gives a preview of its next-generation processors featuring a combination of Ryzen processors and Radeon graphics technology. AMD presents their new line-up of Ryzen desktop and mobile processors with Radeon Vega graphics at CES 2018. 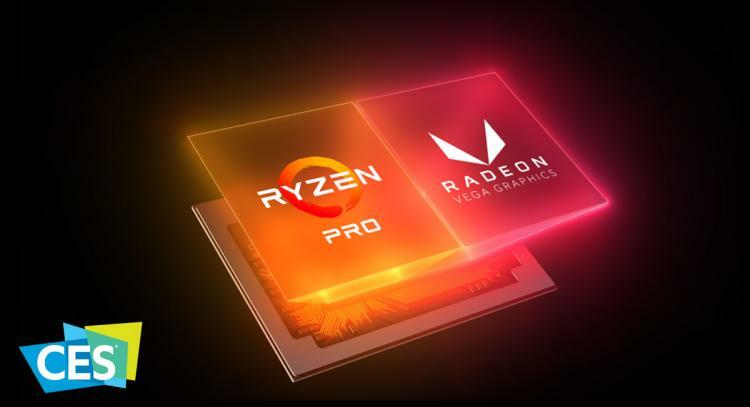 AMD aims to offer high-performance computing paired with efficient graphics making the first line-up of Ryzen processors with built-in Vega graphics. AMD will also be presenting its full line up of Ryzen mobile APUs including the Ryzen 3 and Ryzen PRO models which AMD claims to be the world's fastest processor for ultrathin notebooks. The upcoming 12nm 2nd generation Ryzen desktop processors are expected to launch this April of 2018. - The "Zen" core is in production at both 14nm and 12nm, with 12nm samples now shipping. Used in both desktop and mobile processors. - The "Zen 2" design is complete and will improve on the award-winning "Zen" design in multiple dimensions. - AMD is on track to deliver performance and performance-per-watt improvements through 2020. 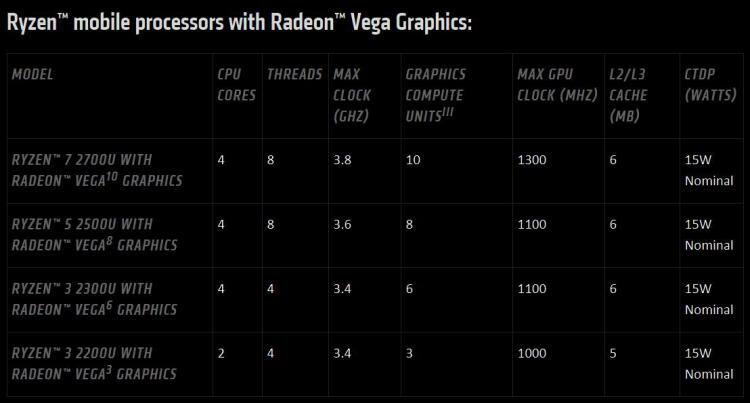 - Expansion of the "Vega" product family in 2018 with the Radeon Vega Mobile GPU for ultrathin notebooks. - The first 7nm AMD product, a Radeon "Vega" based GPU built specifically for machine learning applications. - A production-level machine learning software environment with AMD's MIOpen libraries supporting common machine learning frameworks like TensorFlow and Caffe on the ROCm Open eCosystem platform. The industry's first fully open heterogeneous software environment, which is making it easier to program using AMD GPUs for high performance compute and deep learning environments. - Radeon Software will now support HDMI 2.1 Variable Refresh Rate (VRR) technology on Radeon RX products. - Ubisoft's FarCry 5 will support Radeon RX Vega specific features like Rapid Packed Math as well as Radeon FreeSync 2 technology.